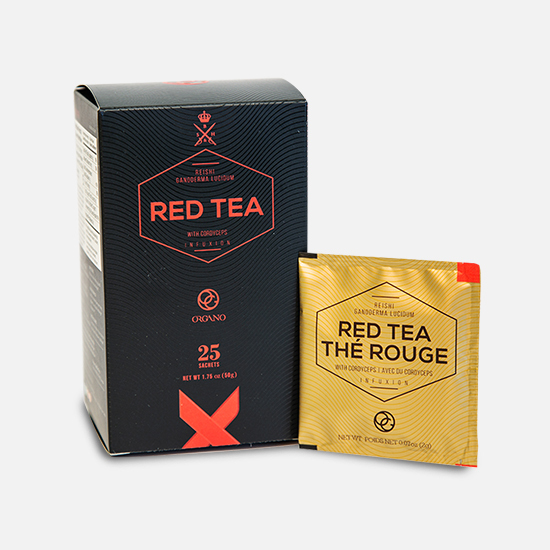 Organo™ Red Tea is a powerful herbal fusion of Camellia sinensis tea combined with Cordyceps and Organic Ganoderma in a delicious tasting tea. Great for anyone that wants the great taste of this fresh and light tasting tea. 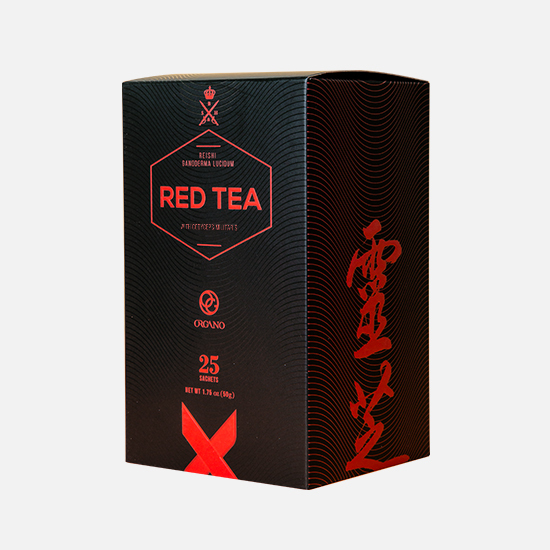 Organo™ Red Tea is a flavourful and aromatic tea. Combined with cordyceps and organic ganoderma, it’s a tea you can enjoy hot or brewed and chilled for a cooling and refreshing drink. It is great for the whole family. Organo™ Red Tea is a powerful herbal fusion of Camellia sinensis tea combined with Cordyceps and Organic Ganoderma in a delicious tasting tea. Great for anyone that wants the great taste and benefits of this fresh and light tasting tea. 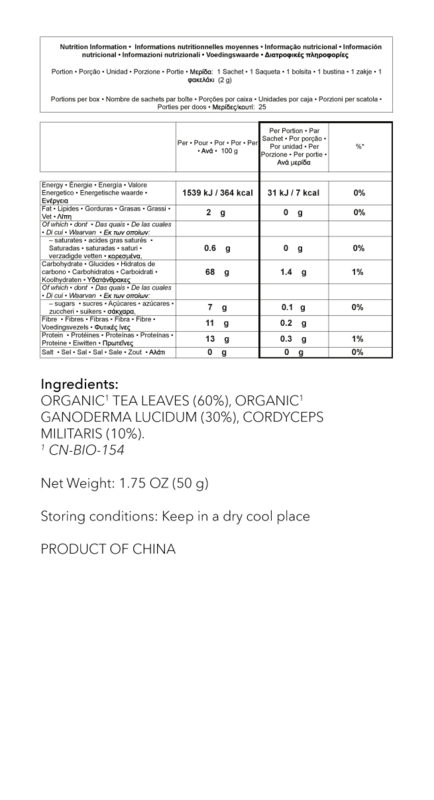 Camellia sinensis – Camellia sinensis plants are evergreen, medium sized woody shrubs and are from the family Theaceae, the tea family. Camellia sinensis is usually called ‘tea plant’, as it is the most common plant in the world to be used to make tea. Cordyceps – Cordyceps are grown in a mineral-rich soil at high altitudes and low temperatures and is a celebrated mushroom used for centuries in traditional Chinese culture. Ganoderma – also known as the red Reishi mushroom, this mild flavour adds a note of depth to the tea flavour. Camellia sinensis is the most popular species of camellia whose leaves are used to make tea. It is commonly known as tea plant / tea shrub; and all varieties of tea reaped from this species. Cordyceps are grown in a mineral-rich soil at high altitudes and low temperatures and is a celebrated mushroom used for centuries in traditional Chinese culture. Because of their remote habitat, and tough geography, cordyceps were historically reserved for the Emperor’s highest court and Chinese nobility. Place the tea bag at the bottom of the cup and pour the hot water on top to your desired level. Freshly boiled water, rested for a 2-3 minutes so the temperature drops to 60-85°C, is the ideal heat for when you pour. Steep for 3-5 minutes and drink. Make your own flavours by adding ginger, honey, sugar, or cream. Chill and serve cold over ice with fresh mint or lemon.